Here at E Cigarette Empire all we know is new. We are non stop putting brand new products on our shelves. Whether it be a new size in an original flavor or even a whole new flavor. One thing we have realized is that KILO is a huge hit not only here at the Empire but nationwide. Well here is the good news. We have just received Kiberry Yogurt in a 60ML bottle size. For those who do not know KILO; they are a brand local to Southern California and they are one of the veterans in the game. You can now find them in our e juice brand category. Kiberry Yogurt has the flavor profile of a kiwi strawberry yogurt. The inhale consist of that sweet sensation of kiwi. Upon exhaling this extravagant e liquid by KILO is when the strawberries mix with the kiwi and also the yogurt comes into play. The throat hit is very smooth and refreshing. There is no burning or charring sensation that causes irritation. The bottle design is very exquisite. Just like the KILO Black Series or the KILO White Series it comes in a padded luxurious box that has a navy blue color to it. On the front of the box it has KILO Original Series printed in a shiny gold font along with the name Kiberry Yogurt. It is shut tight with a label. The VG/PG of this e cig juice is a 70/30 blend. Here at the Empire we carry this sauce in a 60ML bottle but if you would like it in a 30ML bottle size you can find it here. If you would like it in a bigger size such as a 120ML bottle size you can find that here as well. The nicotine levels are the standard 0MG, 3MG, and 6MG. Come swing by the infamous Empire and check out this amazing new vape juice! Best Yogurt Flavored ejuice I've even vaped! 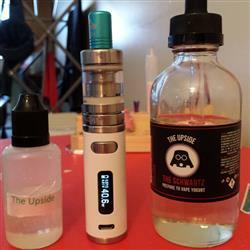 The Upside is a very flavorful, smooth creamy juice with a light strawberry flavor. The aroma coming from the bottle just makes you want to vape ASAP, it smells much, much better than other yogurt ejuice I've tried. E-cigarette Empire has great prices and excellent customer service! This my go to place for all my ejuice. Great! Never any issues! Amazing flavor. Fast shipping! 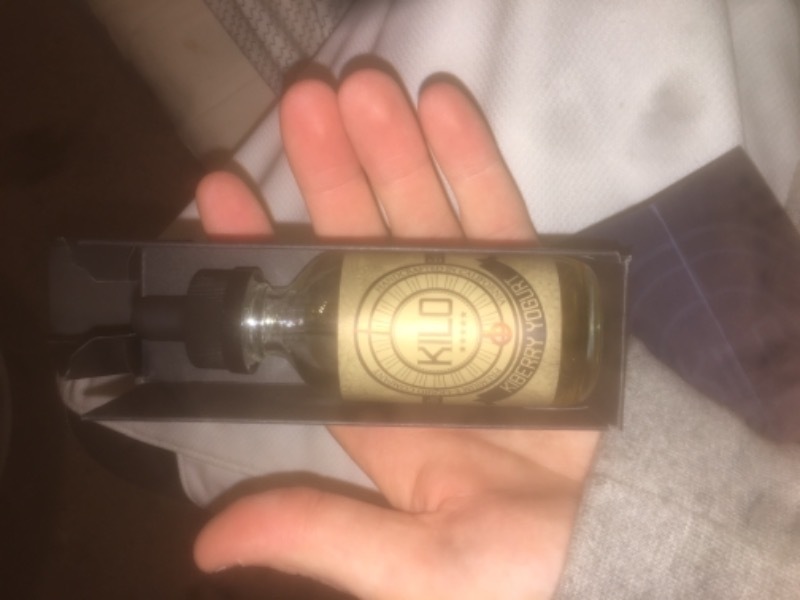 Best ejuice and service EVER! I love the e-juice and prices and bn I get my stuff so fast! I love this juice. One of my favorite all day vapes. The blueberry hits the throat smoothly with an awesome custard exhale. One of the best dessert flavors imho. Great price too. I bought Kilo kiberry yogurt and kilo white series cinnamon roll it's my second time buying both I love them but the cinnamon roll is my favorite..